Are you thinking of heading to Israel and looking to undertake your own Bethlehem travels? Perhaps you are already in Jerusalem, and are considering visiting Bethlehem to make a day trip to the Church of Nativity? That’s awesome, but have you considered exploring further afield in the West Bank? To understand the political situation and witness first hand the realities of living under daily occupation… Or perhaps you simply don’t want to go all the way to Bethlehem to see a church on a crowded bus tour with only an over-priced gift shop at the end… Then I implore you to explore Palestine further, sort out your accommodation in Bethlehem and stay longer than a few hours! But first… Where is Bethlehem exaclty? 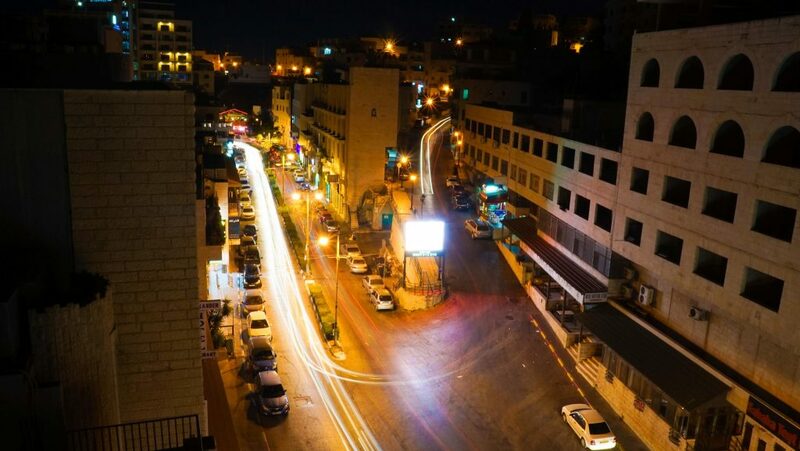 Bethlehem is located in the central West Bank about 10 km south of Jerusalem. It has a population of approximately 25,000 people of which most are Muslim but there is still a significant and active Palestinian Christian community. 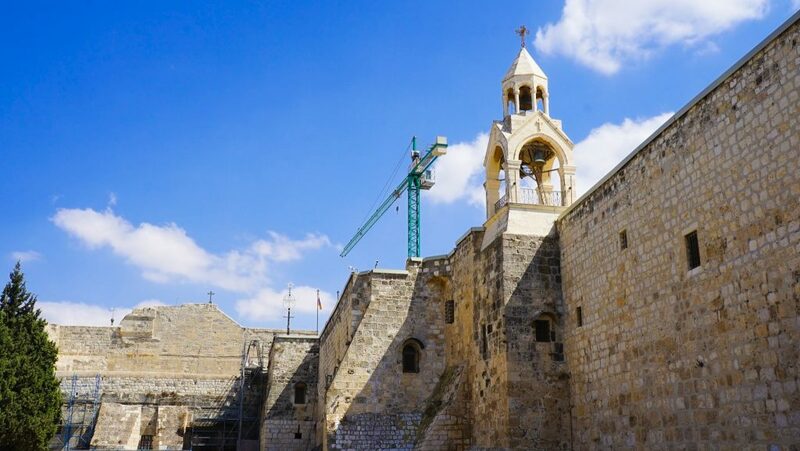 Most famous for its Church of the Nativity, the birthplace of Jesus, and most popular therefore around Christmas, Bethlehem has a much more ancient history and you should not miss an opportunity to explore it further! I mean its a stunning building, built in 327 , with a long and complicated history aswell as a UNESCO World Heritage Site…. but once you have spent an hour here there is so, so much more to explore! Yes, visiting Bethlehem does take more than an hour! On paper, Palestine should be one of the most touristy places on Earth. Seriously, it has a phenomenal mix of religion, history, local culture and stupendous scenery (and trust me – I do not use that work lightly!). So what is holding Palestine back then right? Well, as many other places in the world, I can only put it down to the unfair portrayal of occupied Palestine in Western Media as an anarchic and dangerous place swarming with terrorists, not suitable for a casual holiday or even alternative travel. Of course if I was to make all my travel decisions based on western media I would never have visited Belarus, Georgia, Russia or even Armenia! But let me tell you, unequivocally, that in my experience this is one place where preconceptions are truly disconnected from the reality. By this I mean that people living here are truly some the of nicest I have meet anywhere in the world. This is not an exaggeration! From locals inviting me into their homes for a sit-down meal to chatting on the street and shoving as much free nougat as I can carry at me! Of course, there is occasional flair up’s in violence (in both Israel and Palestine) but these are largely located in religiously sensitive locations and it seems that the only thing both sides agree on is don’t involve the tourists. Like most places in the developing world, tourists are the ‘golden goose’ that must never be harmed – but really, you will feel safer on the streets here than almost anywhere else in the world. Just like anywhere else of course though, pay attention to your surroundings, don’t venture into unknown places at night and if in doubt, ask a local! Enough said right? 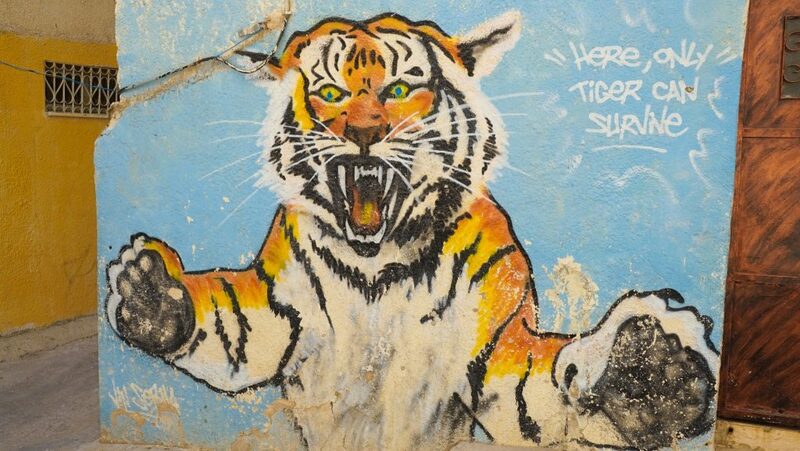 Some of the art-work seen in Palestine. Political charged and beautiful, many here will surely bring a tear to your eye! The second major impediment to tourism in Palestine is the physical barriers imposed by Israel. 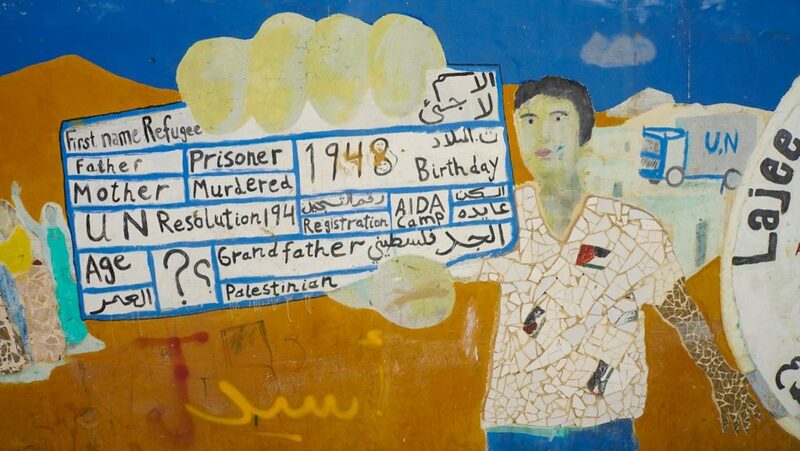 The seperation wall, which Palestinians are subjected to every single day, makes it seem rather daunting for your average traveller when considering a trip to the West Bank. But just forget whatever you have read or heard, getting to the West Bank is super easy! No seriously, it is. No expensive taxi or bus tour required, just get yourself to the Palestinian Bus station near the centre of Old Jerusalem and you have a cheap direct connection to almost every major town on the West Bank. No passport check on the way in (take it though, you will need it on the way out), no questions, no hassle! We took the same bus all the way from our hotel in Jerusalem to only a few minutes walk from our fantastic room at the Bethlehem Hotel. If thats not easy, then I don’t know what is..
Centrally located, modern and with a great view over the street at night! While you are spoilt for choice with accommodation in Bethlehem, I would personally recommend the Bethlehem Hotel for its price, included breakfast and modern rooms! Ok, now I can hear you saying – you’ve got me! I are serious about visiting Bethlehem, but really what should I do on my Bethlehem travels…Well I will leave the highlights of Palestine for a separate article but suffice to say Palestine really does have it all. For those that want a great base for an extended trip I recommend staying in Bethlehem. It’s a fairly liberal, vibrant young town with so many things going on. 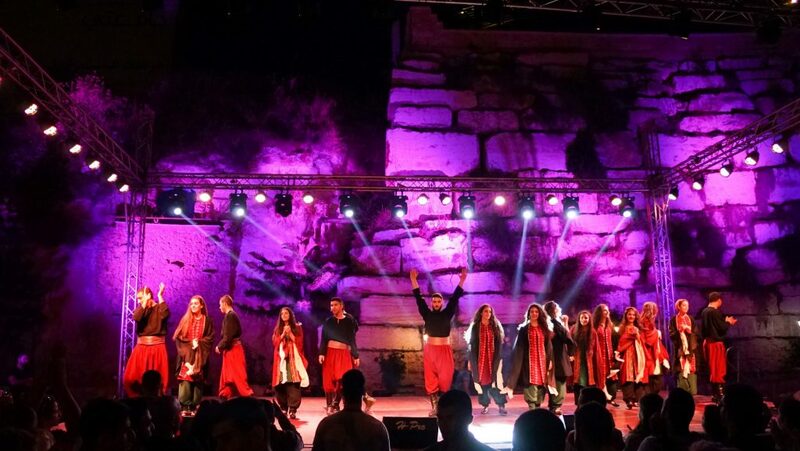 Our first night we arrived there was the Dandanat Dance & Music Festival, a Swedish – Palestine collaborative event which was a huge highlight of our trip! In some ways life here is not so different at all to that back home. Everyone still loves to get together, drink, laugh and dance the night away! The first thing I would recommend you do after arriving in Bethlehem is to head to the Visit Palestine office at the start of the old town [just along the Star Path taken by Mary some 2,000 odd years ago!]. These guys really know their stuff and will be able to offer suggestions to match your interests, time frames and budgets! Sick of all the churches and religious sites after Jerusalem? No worries! They even offer a wicked walking tour of the Bethlehem Old City which explores its seven historical quarters and their hidden secrets! 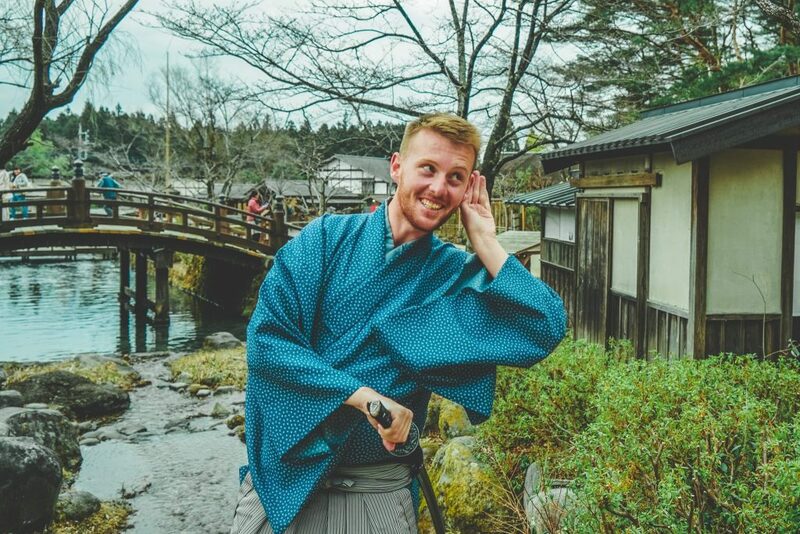 The friendly local guide’s also shares some of the realities of life in Bethlehem and are experts at providing as little or as much information as you desire! Perfect for people like me who are history buffs, I cannot recommend their Palestine and Bethlehem tours enough! Just look out for their sign opposite the Central Bus Station (or just ask for the KFC if you cant find someone who speaks English!) .. While you are at the Visit Palestine Information Centre also check out the Dajo Cafe downstairs. An amazingly chill rooftop with a nice breeze, non-touristy prices and the best mint lemonade I have ever had in my life! Just go ahead and order the carafe! Want to really educate yourself to the reality of occupation and the political and socioeconomic situation in Bethlehem? 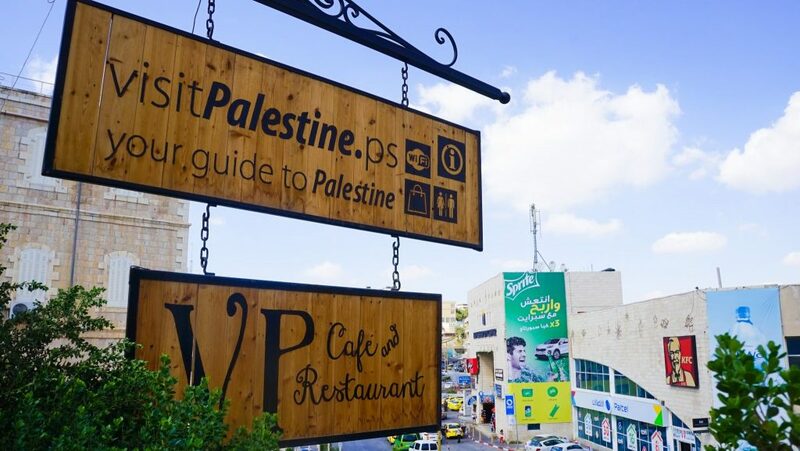 Visit Palestine also offer guided tours with stops along the Seperation Walls and meeting locals at one of the nearby refugee camps to help you better understand the multilayered life of Palestinians in general (and Bethlehemites in particular). Art, beauty, destruction ,imprisonment, life, colour, seperation – Experience the truth first hand with a professional guide. It will be one of the most emotional moments of your life, but you will not regret a single moment of it. This is personally where I felt the most impact emotionally on my trip to Bethlehem, and now have a tangible, personal, experience of the plight of the Palestinians. A moment beyond mainstream pilgrimages and large tourist bus trips which really offers insight into the day-to-day reality for Palestinians… To physically stand before this towering, fortified barrier you really do feel like you are in jail, encircled – cut of from your surrounding and left in a state of disconnect. Here you can feel and see the effects of these abstract policies you may have heard about on the news bulletins. Military law. Zones A, B, C. Illegal Settlements and Outposts. Right of Return. Each has had a devastating effect on the Palestinians which is almost never covered in mainstream news. Life here is tough. Given all the Palestinian people have had to suffer through it is truly amazing how welcoming and hospitable they are to foreigners. I’m not quite sure I would be when it seems the world has forgotten them. 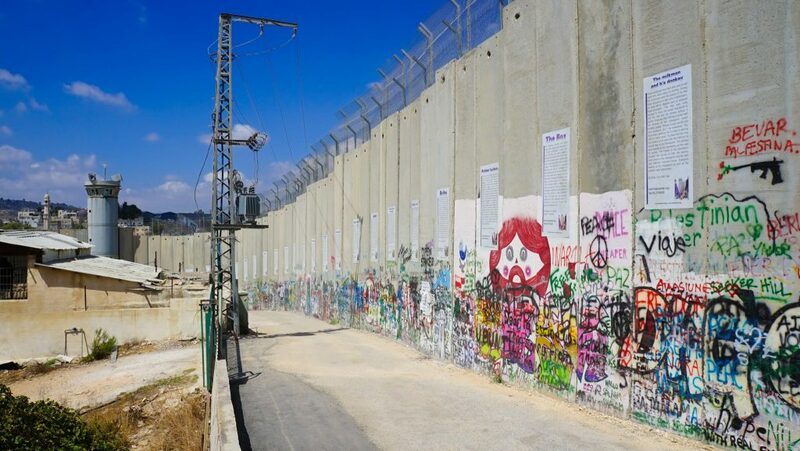 The infamous Seperation wall that can be seen on a trip to Bethlehem. 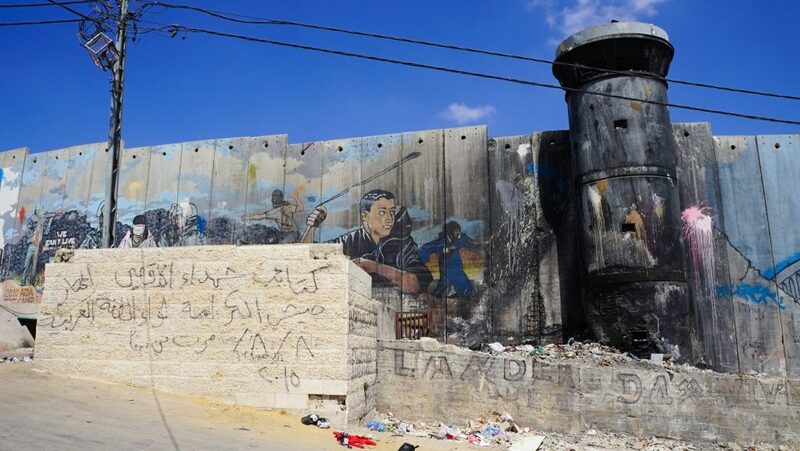 Look out for the works of Banksy here who protests the treatment of Palestinians and helps bring their plight to the international news through art. 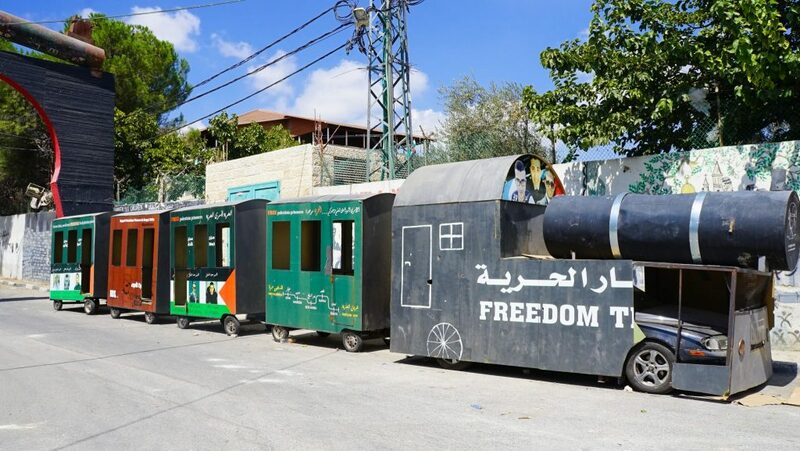 A freedom train built by children in a refugee camp. They hope to one day to ride it to villages that no longer exist..wiped off the map when their ancestors were forced to flee their homes 70 years ago. A Trip to Bethlehem and Palestine offers the thing we all secretly crave. To leave behind the mainstream tourists and find a place of our own. To have a unique experience, and yes, to share it with those we care about. And this is another key reason I believe everyone with the opportunity should try to visit Palestine. Not only are you helping the Palestinian tourism and helping to bring much needed economic, social and political benefits to the locals here but you can experience and form your own opinions and spread the word at home. And indeed those opinions may not be the same as mine, or anyone else’s for that fact – and thats OK! But the important part is to come, experience and decide for yourself. Why you are at it …Why not consider a trip to the UNSCO listed Battir EcoMuseum! After all this while if you are in Palestine and want to go to Jordan WITHOUT going into Israel your only option is the Alleby Crossing / King Hussein Bridge! BUT they do not issue Visa’s there. So you must have your visa already. Otherwise you must go into Israel and cross by the Northern or Southern Border, both of which will issue Visas. Sorry its a sucky answer. Its not an easy process. You can cross from Jordan into the West Bank and then BACK again, as you would have already had a Jordanian Visa to get into Jordan in the first place. Read more here about how to get around in Jordan. Inside a refugee camp. Not exactly how one would imagine Bethlehem West Bank. Safe and friendly, people here go out of there way to make you feel welcome. Leave your preconceptions at the door. So come and enjoy your Bethlehem travels, taste the local delicacies of mejadarra and kadaif and konafi, speak to locals, explore off the beaten track (and the Star Path!) and see an alternative Palestine by exploring a reality beyond the Nativity Church!